When last we heard from Mr. Colegrove, he was headed back to Ohio with drummer N.D. Smart II for Christmas. When he got back, the first person he called was his old buddy Phil. They talked over old times with Phil’s brother, Bruce, and as Jim told them of the happenings in the Big Apple, Bruce became enraptured. He had a week before classes were to start up again so he volunteered to drive Jim back. When it was time, they piled Jim’s belongings into Bruce’s VW and headed back. Two days later, they were in New York. The new drummer for Bo Grumpus, Ron Blake, was ready and waiting to rehearse. Jim headed down to the Cafe Wha? right away. They ran through their shows to see how things sounded. Ron was good but needed time to get used to the band. Never far out of Jim’s mind was his situation with the draft board. He was still awaiting the final decision on his request to be relieved of duty in the Army Reserves. He found a letter waiting. When I returned to the apartment on 82nd Street, he writes, I had some news awaiting me in the mailbox. It was a brown envelope from the Department of the Army. I nearly ripped it in two as I had done with the other communiques I had received, but this time I stopped an inch or two into the envelope. Something about another envelope in my stack of mail made me think twice. It was from my local draft board in Xenia, Ohio. Looking further into the brown envelope, I discovered I was no longer in the Reserves. I had been discharged in December and my name had been turned over to my local draft board. 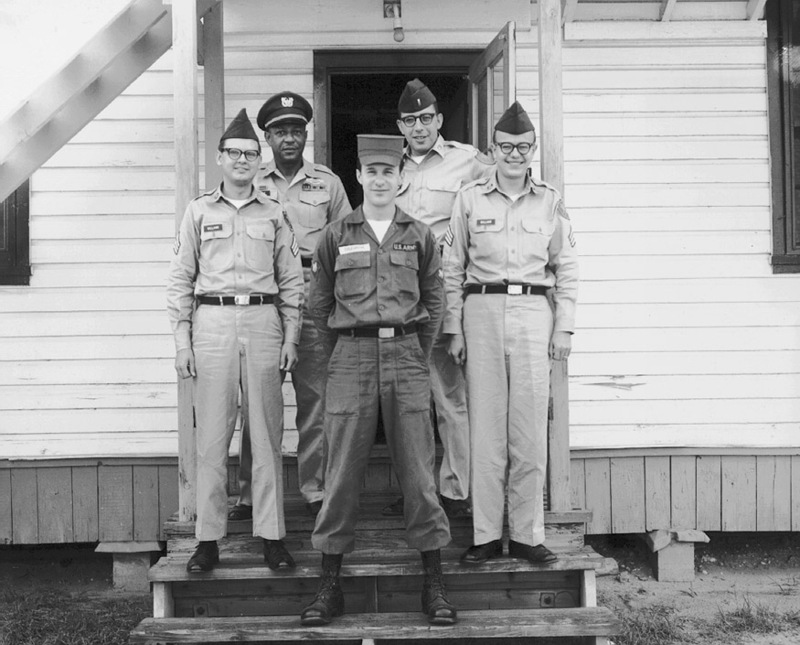 Since my military obligation was incomplete, I was to be reclassified, subjected to the draft and possibly Viet Nam. Happy New Year! My first reaction was total confusion. I was glad to be out of the Reserves but afraid I would be drafted. I wanted to run to Canada. I wanted to scream. After I calmed down, I called Steven Goldburgh in Brookline. He said he would send the results of my tests along with a letter to my draft board. They should have already received the results but I was taking no chances. I had to fill out the status questionnaire and return it. I hated them. I never wanted to hear from them again. I answered the questions with goofy answers. When it got to the question about there being any reason Icouldn’t serve in the Armed Forces, I answered yes. And ‘if yes, why?’ I answered that I was emotionally unstable, told them about my doctor’s impending letter, signed it and tossed it into the mail. After that, I prepared myself for the worst. The band began Monday night rehearsals at the Wha?. Even Felix (Pappalardi) attended some and helped with our arrangements. He analyzed our songs, suggested changes in our lyrics here and there until he was satisfied with each song. We felt that Joe’s writing was the best, his lyrics having the quality of a fine poet, using imagery which evoked the desperate feelings of the American subculture with which we identified, but also retaining hope. ‘Survival’ is what Joe called it. Felix played a strong part in the production of the album. 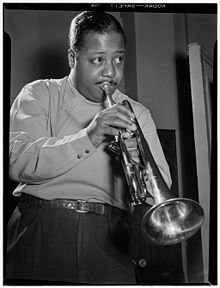 Not only did he dictate the direction of the music, he played bass, guitar, keyboards, percussion, ocarina, trumpet, sang backup vocals and even sang lead on a song I had written titled “A Knowing Young Touch.” Originally titled “Downtown Incident,” Felix thought it too esoteric, saying that the title had nothing to do with the song itself. It did me no good to argue. We kept it a secret that he had sang lead, probably for contractual reasons. No one but us knew, as far as I know. We recorded one song written by Felix and Gail called “Travelin’ In the Dark” and two Felix had written with either Ed or myself, so his mark was clearly all over the LP. All material was published by Total Music (BMI) which was owned by The Richmond Organization (TRO). We were paid union scale for the sessions, with revolving leaders. Leaders got double scale and we all took turns so that the money was, more or less, shared equally. That February (1968) Bo Grumpus played the legendary Metropol Cafe on Broadway, just off Times Square in the heart of the city. 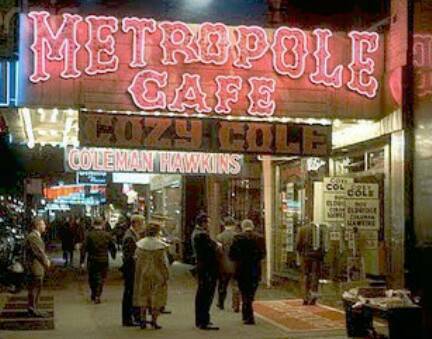 The old Metropole was a great jazz joint, one of the best, and featured top names. When we played, it was reduced to a go-go dance joint with two bands which worked daytime hours from eleven A.M. To 8 P.M. and two night bands which played from 8 P.M. To 4 A.M. We started on the dayshift not knowing exactly what to expect. We desperately needed the money so we tried to satisfy. The Metropole was a long, narrow room with a bar which ran the length of the room on the left, booths on the right, and totally surrounded by mirrors. Now, if you’re a band musician, you know how mirrors make for a very bright high-frequency cutting sound. Strike one! The bandstand was directly behind the bar in the center. You got there by climbing a narrow stair at the back of the room and walking along a narrow ledge to center stage. The ledge went both left and right from center and was the platform where the girls danced— two girls to the left, two girls to the right, and one in the middle in front of the band. Strike Two! The girls alternated between bands. Every time we went back on, there was a different girl in the center. The girls were alright but the manager wasn’t. Strike three! You had to be ready every time you played a set, you couldn’t play too loudly and you had to move, move, move! The best part of that gig was having an hour off between sets. The dancers always had plenty of speed and the black guys in the other band, which played mostly R&B, always had plenty of dope to smoke— very thinly rolled reefers but always plenty of them. The days at the Metropol were hard but fun. It was a kick meeting all of the dancing girls and hearing their stories. The guys who worked in the other bands were regular working musicians gigging the best they knew how. They were strictly a club R&B/soul band doing simple covers of the soul hits of the day. We, on the other hand, knew only a handful of soul tunes and they were all from the days back at Mickey’s in Ohio. We did a few blues tunes but mixed in some of the two-beat ragtime-type material such as “Sister Kate.” That was a tune one of the girls loved to dance to and she always asked us to play it whenever she was in front of the band. One day the manager asked us if we would play the night shift too because one of the evening bands had canceled on him. We said yes because we needed the money and there was speed to help us push through the gig. We split the night with jazz trumpeter Charlie Shavers and his combo. We ended up doing day and night shifts on both Friday and Saturday. We were exhausted but made enough money to last for a month. The girls who danced the night shift were a completely different crew. They seemed to be better looking and a lot tougher to get to know. The men who hung around the bar all had favorites and would stay in front where the girl was dancing and tip them every couple of dances. One afternoon that April we were hanging out at Eddie’s apartment when Michael Lew came knocking on the door in tears. Martin Luther King had been shot to death in Memphis. Joe’s first reaction was to get everybody out of town, fearing that riots would be breaking out everywhere. Eddie nixed the idea and we stayed put. About this time, I got the final notice from the draft board. An envelope came in the post and I pulled it out with mixed emotions. I was finally being reclassified but I was sure it would be 1-A and I would have to report to Ohio for a physical. I was ready to pack my bags, make my farewells and head to Toronto. When I opened the envelope, the news was beyond my highest hope. There in my hand was a bona fide 4-F! No physical, no anything! Bang! I was out of the Army! Never again! I danced around the rest of the night. Doc Goldburgh had done his job. Free from the military millstone at last! Felix had been working in the studio at Atlantic with Cream. I met Eric Clapton at Felix’s apartment and Felix invited us to the studio to watch them record. We were there the night they were working on “White Room.” Later, there was a big discussion about the lyrics to a song titled “Anyone for Tennis.” That material came out later that year on a double album titled Wheels Of Fire. Lyndon Johnson announced he would not seek reelection and surprised all of us. There were stories about the organizing of the Yippies heading for Chicago for the convention that August. We knew it was going to be a long hot summer. And the Bo Grumpus album hit the street. We made our third appearance at the Boston Tea Party about then. It was one of the top clubs in Boston during the late sixties. At one time it had been a church and still had the words, I recall, “Come unto the Lord” printed on an arc over the bandstand. It was more like a ballroom, as many clubs were then, along the lines of the psychedelic ballrooms of San Francisco, with a huge dance floor, a stage on one side and a balcony of seats on the other. The flat-white walls were used as a screen for light shows. When the place was going strong, the lights could be intense with every wall reflecting some kind of slide, overhead projector, or pulsating and throbbing colors. The multi-media style got its start a couple of years earlier on the West Coast with Ken Kesey’s acid tests and soon spread across the country. 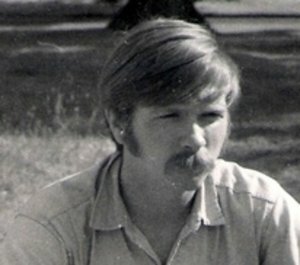 Bo Grumpus made its first appearance there in November of 1967 performing with a Boston group called Butter (Heavier Than Cream), a power trio of guitar, bass and drums. It was one of the first time I had ever seen a bass player with multi-amps set to play at high volume. The guitar player used only a Fender Twin but had no problem being heard. I recall us going over well with the crowd and looked forward to playing there again. It was fun to see our old friends from Beacon Hill. We spent the weekend at Don Law’s on Pinckney Street. The next time we played the Tea Party, Don was managing the place. 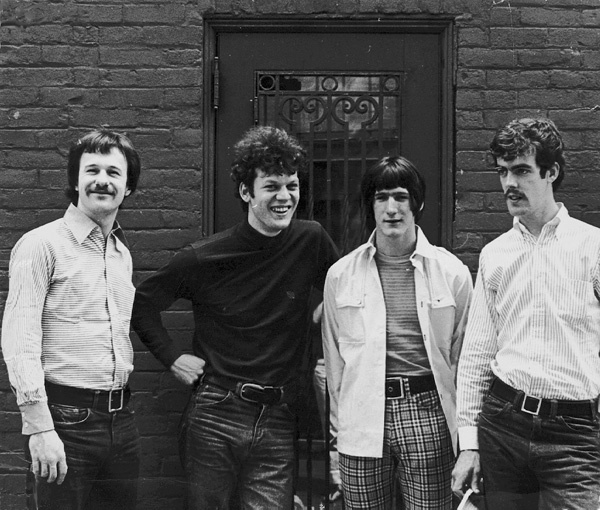 That show— our second in early 1968— was split between us and the Velvet Underground, a group I had not really heard of except for its association with artist Andy Warhol. All I remember about their performance other than the repetitive droning of the music was their drummer playing bass drum by hand with the drum in a horizontal position and the long violin or viola solos. Other things I remember were that N.D. was, of course, no longer a member of the band and we rented amplifiers for the show. We had three Sunn amps to compete with the volume of the Underground and we drew our share of fans. Our third and final gig at the Tea Party was in August of ’68 and was memorable for several reasons. We split the show with the Staple Singers, a legendary gospel group from Chicago (and this was when five members of the family were working together). Accompanied by only the electric guitar of Roebuck “Pops” Staples, the father, three daughters and son hypnotized the audience with gospel harmonies. After their set we went on and saw to the dancing segment of the show. This time we brought along Felix to play and sing with us as a special treat since at that time he had not performed with anyone in several years. Again, we rented amps and a Farfisa organ for Felix to play. On a couple of tunes (including “Strange Brew,” the tune he and Gail Collins had written with Eric Clapton for Cream), Felix played bass while I played guitar and sang. 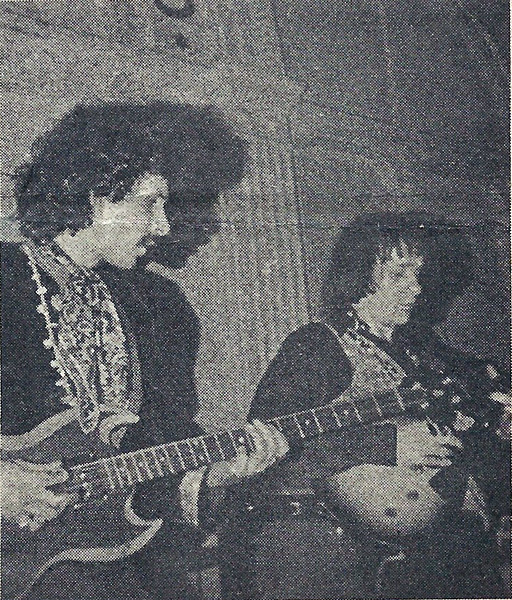 The show also featured a band known as Eden’s Children and in a review of the show in a local magazine, one of their guitarists was identified as a member of our band. These were the days that hand-painted guitars were becoming popular, certainly an extension of the psychedelic art fad and Clapton’s hand-painted Gibson SG. Both Joe and Ed’s guitars were brightly painted in day-glo colors. Ed’s featured a mad face with hair askew and an open screaming mouth. Joe’s was a snake man with a long serpent tail twisting around the body. Back in the city, summer blazed on. We heard the news from Chicago, how Daley’s Gestapo rolled over Lincoln Park and Hubert Humphrey got the Democratic nod. It was Nixon vs. Humphrey and the war would go on. No surprises. The battle lines were being drawn. That August I turned 27. We played gigs in New York. There was an uptown-eastside club (I can’t remember the name) where we played several times. A band known as The Fabulous Farquarh played there regularly. 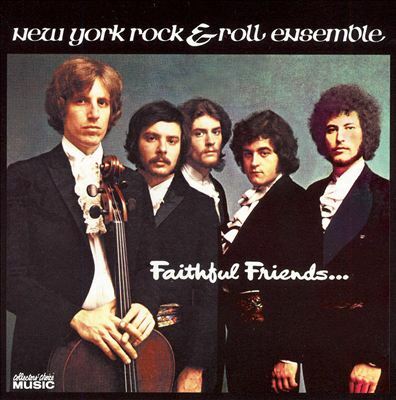 I also heard the New York Rock & Roll Ensemble play there. They were allegedly classical-trained musicians and incorporated strings into their music. They also wore black tie and tails and, coincidentally, had an album on Atlantic Records. We worked one night at a downtown club called The Purple Onion. All I can say was that it was a bad scene. During the summer I met a friend who would be an enigma forever. He was working in the record promotion business then, wearing coat and tie, working out of Cleveland, Ohio where he had met the Hello People when they were working there. They became friends and the band invited them to New York for a visit in the hope that they could eventually get him to do promo work for them. His name was George Kiernan, eldest of four brothers from New Hampshire and from a well to-do family. His parents had separated and his father had done time for kickbacks on a construction contract which had built the underground parking garage beneath the Boston Commons. George had never done drugs before , so our first treat was grass at the loft. We got high and I told George that if he wanted to hear our album, we could go over to Felix’s apartment and give it a listen. He listened to it on headphones and became a big fan. Jim eventually had to leave the loft where he was staying and found himself crashing on Ron Blake’s couches. The next day, Gail Collins called Eddie and he told me that Bud and Felix wanted me to go to Montreal with Gail to produce an LP, pay and everything. It turned out that it was really Gail’s project and I was only backup in case she needed help. Felix was in England with Cream and Windfall Enterprises wanted some insurance. I picked up my bag and bass at Eddie’s and met Gail for the ride to the airport. A short plane ride from New York and I was in the most European city in North America, the city of the Royal Mountain, , the next best thing to being in Paris. We got a room at Ruby Foo’s and Gail called one of the guys in the band. They called themselves Energy and were playing at a local club that night where they asked us to meet them. The band consisted of an organist/vocalist, a bassist/vocalist and a drummer. 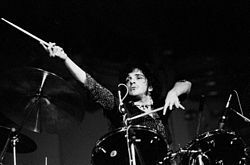 The drummer was Corky Laing who later became drummer for Mountain and later, West, Bruce & Laing. For the next number of days, we worked on tunes and recorded some nice tracks. Everything went smoothly and by the end of September I was back in New York and staying at Felix’s apartment again, since Gail had stayed in Montreal and was meeting Felix later. Jim made contact with N.D. Smart II when he returned and was soon living with him and another guy at N.D.’s place. The Hello People were working more since their second album had been released, doing various TV shows including The Tonight Show. I spent a lot of time in the apartment alone, mostly reading or working on songs for the next album. They told us that Bell Records was interested in having Felix produce an album for them and Bud was trying to work out a deal for us. Since The Richmond Organization owned the rights to the name Bo Grumpus, we had to change the band name. We were getting advance money from Windfall since we had signed new publishing contracts with them. We were excited about recording in 16-track. Felix had been using a studio called Gotham Studios. When Felix came back from England that fall, he had stories of the next Beatles album which vbecame the “White Album.” He told us how they used a keyboard called a mellotron to record the orchestra parts. He had bought one and was having it shipped to New York. Joe’s mother decided the band needed new equipment. She put up money for new amps, a PA, and a new wardrobe for everyone. Felix and Bud rented a new loft where we were going to be able to rehearse. We found a second floor loft on 34th Street on the west side. We painted the walls white, put new tiles on the floor and trimmed he baseboard in black. We set up our new Marshall amps and Randall sound system in the back room and began to rock. The band made a special trip to Pittsburgh to play for a convention of college booking agents. We took Tex Jones along as our road manager. The end result was zero. No bookings. During the trip, I experienced pains in my abdomen. When I went to the doctor, he said that it was the start of an ulcer and he gave me some powder to mix with milk. Back in New York I made a special request to Bud Prager for an advance on the deal to go toward renting a station wagon to drive back from Ohio after Christmas. I could carry all of my worldly possessions back to the city with me, store my stuff in the loft until I found a place of my own. The week before Christmas, I caught a plane back to Ohio to spend the holiday. It was to be my last Christmas in Ohio for thirteen years. When next we meet Colegrove and band, it shall be at Woodstock Nation. 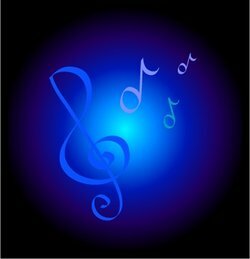 Stay tuned…..
Only a few notes for you this week, but they are good ones…. Notes….. When Susan James‘ Sea Glass was finally released, I was totally stunned at the retro feel, which was probably somewhat because of my having lived through the psych era of rock when it actually happened. There are lots of artists out there grabbing bits and pieces of that period’s music and creating music well worth hearing, but few capture the real feel. Sea Glass takes me back to the late sixties and early seventies when music like this was limited to turntables and movies. Radio didn’t really pick up on psych, at least not of the Pop variety, but movies tried. If you like the Hollywood side of folk/psych, Susan James and Sea Glass might well be right up your alley. Good, good stuff. Deep Purple may not have made it as big at the time of Hush, but they ended up being my favorite incarnation of the band. Later, they became just another hard rock band, as far as I was concerned. I mean, I liked Smoke On the Water, but it couldn’t hold a candle to what they had done with Rod Evans on vocals. Shades of, Book of Taliesyn, and Deep Purple. Three great albums’ worth. Shaun Cromwell needs to get out and promote himself more. The guy has a shitload of talent. This entry was posted on August 25, 2015 at 3:23 pm and is filed under Opinion with tags Atlantic Records, Bell Records, Corky Laing, DBAWIS, Deep Purple, Don't Believe a Word I Say, Felix Pappalardi, Frank Gutch Jr., Gail Collins, Indie Artists, Indie Music, jim colegrove, Metropole Cafe, music videos, N.D. Smart II. Bo Grumpus, radio, Records, segarini, Shaun Cromwell, susan james. You can follow any responses to this entry through the RSS 2.0 feed. You can leave a response, or trackback from your own site.